The Dragonfly 18L is an ultra-light backpack for fast alpine use or technical day hikes. Like its name giver, the Dragonfly impresses with its extraordinary weight to performance ratio. Light, comfortable and the perfect size, no wonder the Dragonfly is the bestseller backpack in the range of Blue Ice. 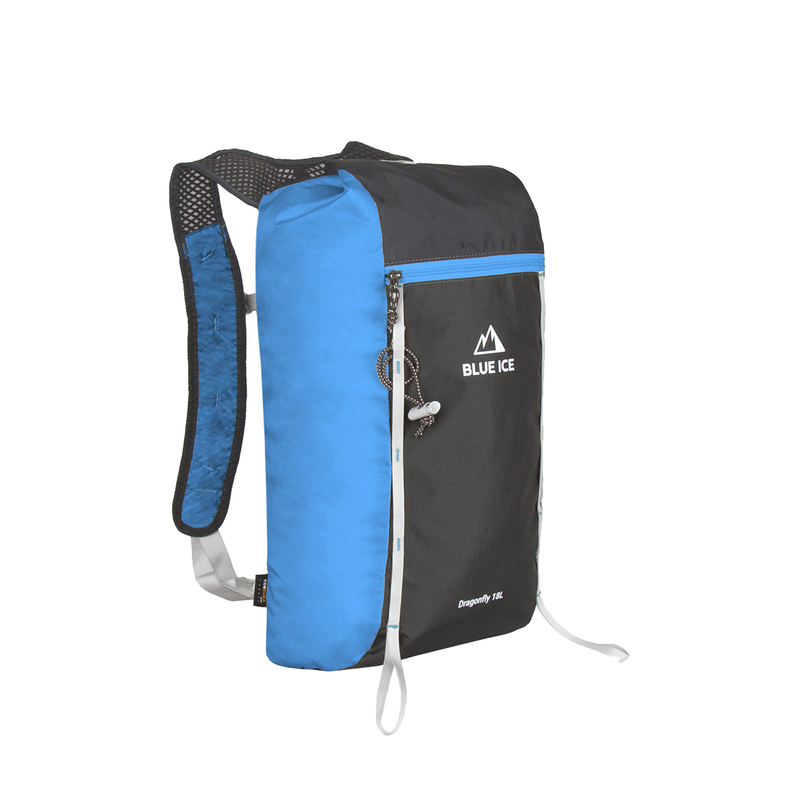 Ideal for day hikes able to fit a jacket, water bottle, lunch and trekking poles or for multi-pitch tours fitting approach shoes, rope, down jacket, and equipment.